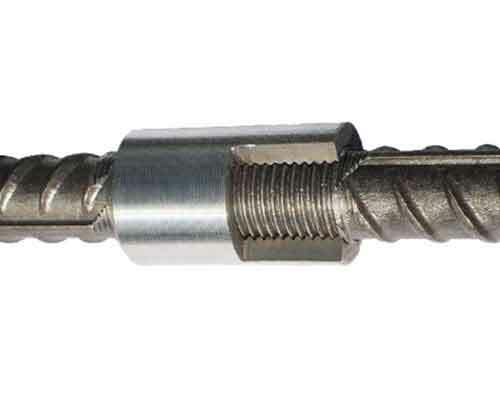 Threaded rebar coupler, also known as the names rebar connectors, rebar splicing,mechanical rebar couplers is a joint of steel bars on a parallel line which is designed for reinforcement bars and usually used in conjunction with rebar threading machine. 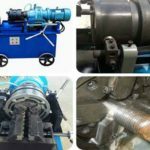 The thread rebar with an internal thread corresponding to the thread is a mechanical rebar couplers used to transfer the axial tension or pressure of reinforcement. 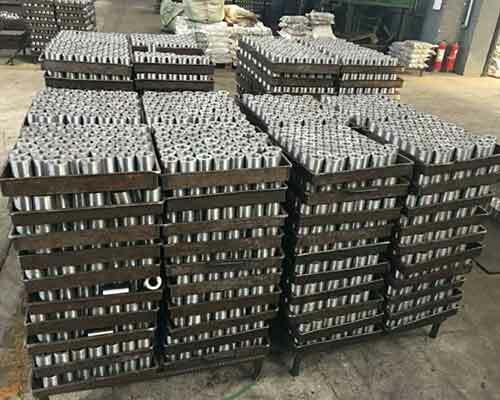 Its diameter is strictly designed in accordance with the international commonly used types of rebar which is applicable to different diameter of the steelbar connection requirements. The threaded rebar coupler with diameters of 16mm, 18mm, 20mm, 22mm, 25mm, 28mm and 32mm can be produced in Yugong. Contact us now to tell us the sizes you need and we will reply you quickly. First, the longitudinal and transverse ribs of the end of the steel bar need to be peeled off by a rebar thread rolling machine. And hen they can be rolled straight into ordinary thread and connected with special threaded rebar couplers to form the connection of rebar. 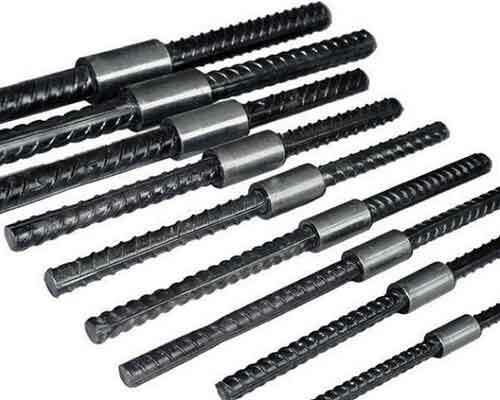 Because of the high efficiency, convenience, fast construction method of rib stripping straight screw connection technology, it has been favored by generation construction organization. 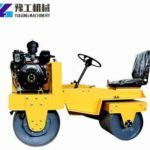 Meanwhile, the technology can also save energy, reduce steel consumption,improve efficiency and make the connection more stable and reliable. However,there are something you need to note when using the technology. The standard value of tensile strength of threaded rebar coupler shouldn’t be less than 1.1 times of tensile strength of connected rebars and the standard value of tensile yield strength shouldn’t be less than the standard value of the tensile yield strength of the connected reinforcement. 1.Reliable Quality. Use the International 45 steel and seamless steel pipe as raw material that its mechanical property,chemical composition is in accordance with the standard of GB/T600, GB/T8162. It also should conform to the relevant or industrial standards and be confirmed by type test. 2.In line with international standards. Our products have been tested by the national construction project quality supervision and inspection center and can reach the sub standard of Level I in GJ107-2010. 3.Complete specifications and sizes. 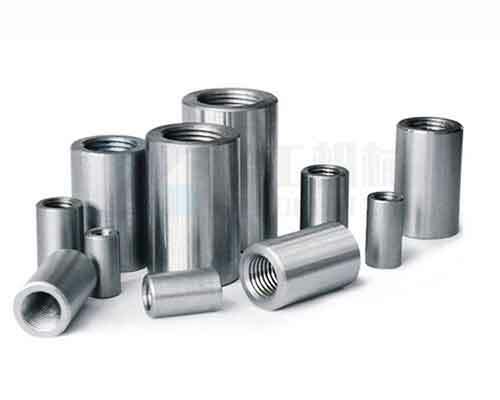 The standard type, front and back thread type and the reducing diameter type can meet the needs of connecting steel bar for the same diameter, reducing diameter and adjustable length and direction of vertical and inclined parts in building structure. 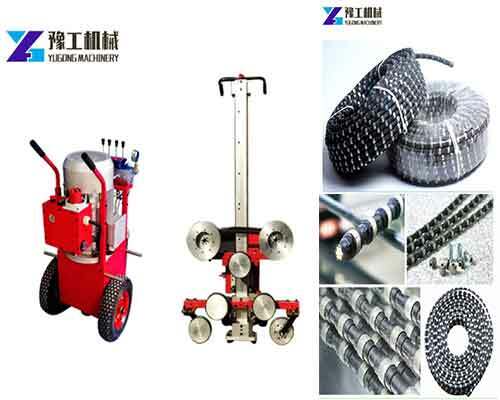 Why The Rebar Coupling Systems Are So Popular? 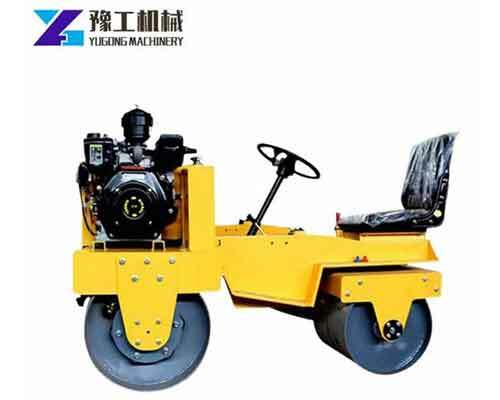 1.Good mechanical performance and reliable connection. 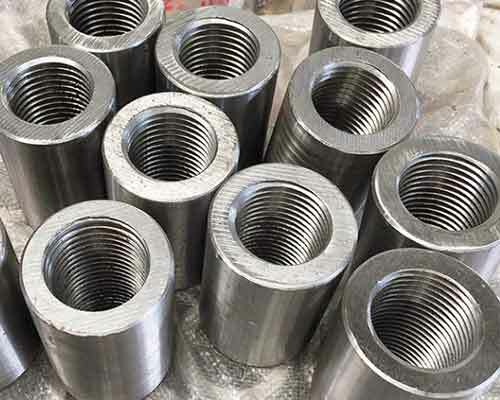 As the end of the steel treated by cooling is formed by rolling, both thread and steel strength are improved which makes up for the effect of the diameter of thread base less than the diameter of base circle on the strength weakening. 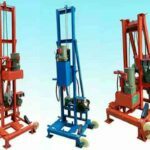 The joint strength is higher than the parent material strength which can make the parent material give full play to its strengh and ductility. 2.Convenient connection, construction and high efficiency. 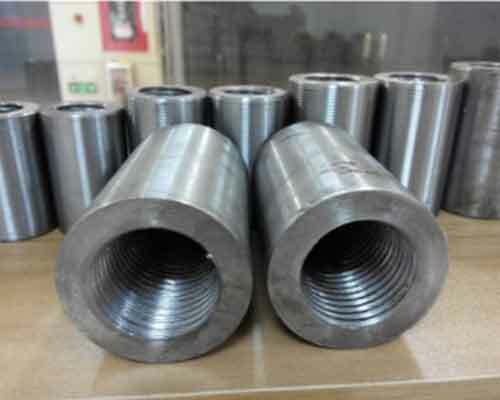 The threaded rebar couplers are prefabricated in factory. 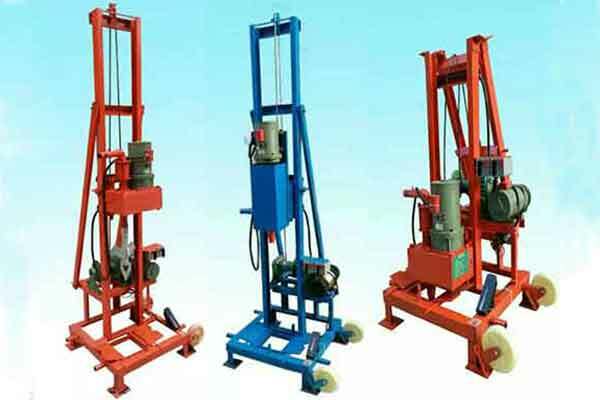 It can be operated flexibly even in a tight arrangement of rebars in a narrow place. 3.Safety and environmental protection. No welding and open flame work, also no pollution during construction. 4.Facilitate testing. 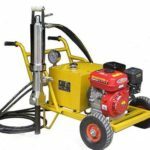 There is no need to use specific detection equipment during the construction. The quality of the joint can be measured only by looking at the exposed steel bar teeth. 5.Strong applicability. 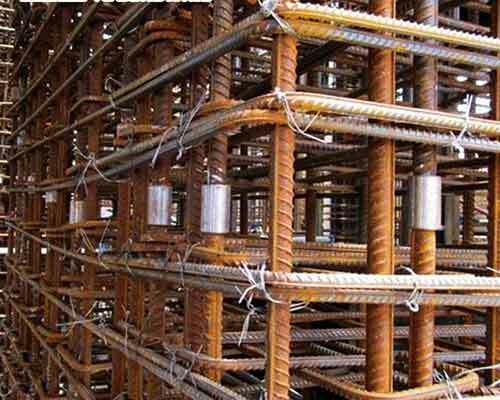 It is suitable for the connection of the reinforcing bars in all aseismic and non-aseismic reinforced concrete structures, as well as suitable for bending reinforcing bars, fixed reinforced bars, steel cages, overlength steel bars and other places. 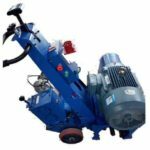 Price varies with the rebar coupler specification. Tell us the diameter and length you need refer to the table below. Of course, the quantity you want is also a factor affecting the price. If you would like to buy a large amount of the threaded rebar couplers, we can calculate the price for you by weight which will be more affordable. 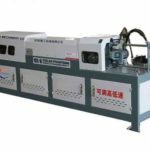 In addition, as a reliable machinery manufacturer in China, you can also buy other rebar equipment, such as, rebar thread rolling machine, steel extrusion press machine, steel bar upsetting machine in Yugong Machinery. So what are you still waiting for? 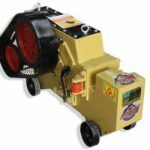 Contact us to order the machine you want now.